Miami, Florida—It was Suzy Schumer's first day on the job at CHARLEE of Dade County, an organization in Miami, Florida, that cares for children up to the age of twenty-three who have been placed in foster care or are at risk of being placed in foster care due to abuse, abandonment, and neglect. Schumer's boss rushed into Schumer's office, told her to grab her things, and ushered her onto the "metro mover." Before she knew what was happening, Schumer found herself at an information session on Benevon. The rest, as they say, is history. CHARLEE has been operating for almost three decades, and the organization now serves more than 1,000 children and families every year. 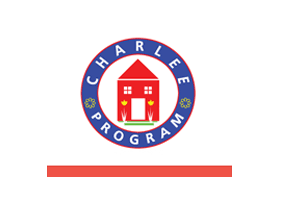 Like many nonprofit organizations, CHARLEE was relying on special events for its main source of fundraising. Schumer, executive director, says those events weren't time effective. "They were extremely time consuming for our staff to put together, and they didn't get the word out because the events didn't really explain what we do. It's difficult to paint the full picture of what we do without having people coming to the office to see our operation," she says. The CHARLEE team began holding Point of Entry tours, called "CHARLEE Chats," which Schumer says have improved greatly over their three years working with Benevon. Schumer's team has learned the importance of providing live testimonials. "People get the awareness and feel the impact of the work we do as they hear stories told by or about our children, who mean what they're saying," she says. "The model has really enabled us to get the stories out." One of the latest stories to emerge from CHARLEE is of the two little boys who had been living on the streets with their mother and her boyfriend. The boys were sunburned and hungry when they came to CHARLEE. Just a few weeks later, those two little boys had been placed in a safe home and were happy and thriving, which Schumer says is amazing to see. "This is what we see every day here," she explains. "That's why we really feel so strongly that people need to come on a tour, because even if they give, they might not understand what we do." That includes potential board members, who are required to attend a CHARLEE Chat before they can serve. Schumer says the greatest challenge over the years has been staff turnover and having to constantly redefine her team. She remains undeterred, however. "You just have to keep working the model despite setbacks or challenges you might have, because that comes with everything," she says. "We are developing a great new team, so this will really happen the way we expect it can." Schumer has just recently hired a new development director, who she expects will contribute greatly. The extended team at CHARLEE includes the staff, which Schumer says have become incredibly involved thanks to Benevon. "They see the bigger picture of what we're doing here now," she says. "Hearing their interest and desire to get involved is really incredible. Now the staff is involved in tours, and they have even joined CHARLEE's giving society. The fact that some of our lowest-paid employees have joined our giving society for $1,000 a year for the next five years…that just speaks to the nature of the work at CHARLEE." So does the fact that CHARLEE has raised a collective $1 million to date through the Benevon Model.